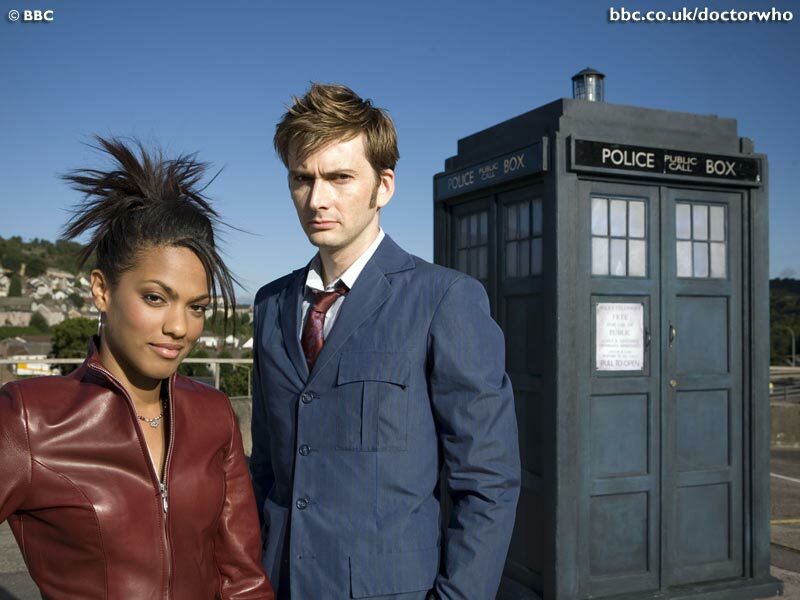 Since I wrote about the first episode of Life on Mars, it is fitting that I should return to the show to make a few remarks on the occasion of its final episode this week. In the end, the SF elements of Life on Mars consisted solely in an ontological hesitation: is this real or not? As such, Life on Mars fell squarely into Todorov's definition of the Fantastic as that which hesitates between the Uncanny (that which can ultimately be explained naturalistically) and the Marvellous (that which can only be accounted for in supernatural terms). As is well known, the predicament that Life on Mars explored was: is Sam Tyler (John Simm) in a coma, and the whole 1970s world in which he is lost some kind of unconscious confabulation? Or has he, by some means not yet understood, been transported back into the real 1973? The show maintained the equivocation until the end (the final episode was ambivalent to the point of being cryptic). 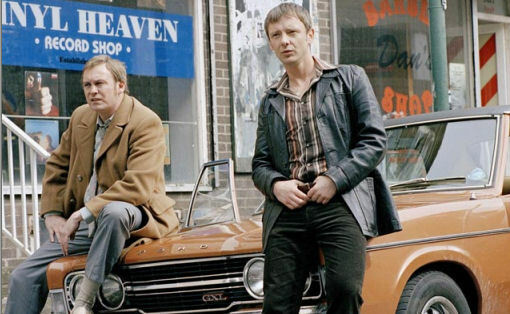 Simm has wryly observed that the show's central conceit lets the production of the hook. If Tyler was in a coma, then any of Life on Mars's historical inaccuracies could be explained away as gaps in the character's recollections of the period. No doubt the enjoyment of Life on Mars derived from its imperfect recollection, not of 1973 itself, but of the television of the 1970s. The programme was mitigated nostalgia, I Love 1973 as a cop show. I say cop show, because it is clear that the SF elements of Life on Mars were little more than pretexts; the show was a meta-cop show rather than meta-SF. The time travel conceit permitted the showing of representations which would otherwise be unacceptable, and beneath the framing ontological question (is this real or not? ), there was a question about desire and politics: do we want this to be real? Undoubtedly, although perhaps unintentionally, the show's ultimate message was reactionary; in the end, rather than Tyler educating Hunt, it was he would come to an accommodation with Hunt's methods. When, in the final episode, Tyler is faced with a choice between betraying Hunt or staying loyal (at this point in the narrative, it appears that Tyler's betrayal of Hunt is the requisite price Tyler must pay in order to return to 2007), this also became a choice between 1973 and the present day that amounted to a decision, not about collar lengths or other cultural preferences, but about policing styles. Audience sympathy is managed such that, however much we disapprove of Hunt, we are never supposed to lose faith in him, so that Tyler's betrayal seemed far worse than any of Hunt's many misdemeanours. Tyler's (apparent) return to 2007 underscores this by presenting the modern environment as sterile, drearily worthy, ultimately far less real than the rough justice of Hunt's era (an interesting comment on the hyperreal dullness of Blair's Britain). Modern wisdom ('how can you maintain the law by breaking the law?') is set against Hunt's renegade-heroic identification of himself with the law ('I am the law, so how can I break it?') The deep libidinal appeal of Hunt derives from his impossible duality as upholder of the Law and he who enjoys unlimited jouissance. The two faces of the Father, the stern lawgiver and Pere Jouissance, resolved: the perfect figure of reactionary longing, a charismatic embodiment of everything allegedly forbidden to us by 'political correctness'. Digital memory can be damaged or incomplete, but this is not the same as forgetting, which is not in any real sense the opposite of remembering. Personal or cultural memory is inherently 'incomplete', because there is no memory without distortion and embellishment. In any case, these observations came to mind the other day when I was wondering if the new series of Dr Who, which continues to frustrate and disappoint, will be remembered as the old one was. In the period before re-runs on digital channels and VHS re-issues, the old show existed only in the form of memory, of course. In the case of many of the episodes from the 1960s, long since wiped by the BBC, this remains so. Well, not quite: the soundtracks to all of the old episodes survive, even though the images are missing. 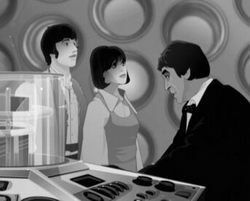 (This allowed the BBC to reconstruct the recently re-issued Patrick Troughton adventure, The Invasion, using Cosgrove Hall animations for the two episodes that have not been recovered.) But in the pre-VHS period, Dr Who persisted as memory, perhaps augmented by the Target novelisations which, after a while, became indistinguishable from the experience of watching the shows themselves (with the result that there are certain adventures from the early 70s that I am no longer sure if I saw at the time or not). These augmented recollections, these re-dreamings, inevitably had a richness that the actual episodes, when they were available again, could not match, damaging the reputation of the previously celbrated early 70s adventures. In the midst of a PR maelstrom, the programme itself looks increasingly slight (that slightness is emphasised all the more by Murray Gold's histrionic music, such a contrast with the Radiophic Workshop's Electronic Weird). Like so much contemporary television, Dr Who seems like an advert for itself: twitchily neurotic in its desire to please, over-excitable in its pacing, it is always trailing the next grafication, never lingering long off to enough to provide much enjoyment. 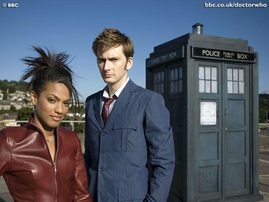 If this Dr Who will be remembered, it will not be remembered in the same way that the old one was, precisely because memory will no longer required. The programme has been memorialized in advance, so there is no need for us to remember at all.